This gallery is based on a draft exhibit I purchased on eBay in 2005. I have expanded and developed the material further into a complete 1-frame thematic exhibit. Here, however, I display the material edited as a 4-part web gallery. Around 1250 AD the Osmanli (Ottoman) Turks are a small pastoral tribe in Central Asia. 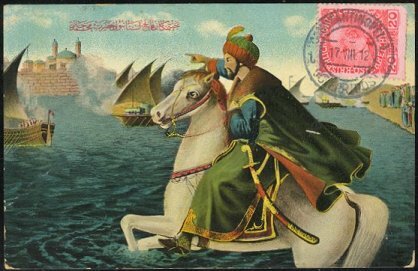 During the next 400 years they build up the Ottoman Empire to become one of the most powerful states in medieval Europe. From their firm base in the Balkan peninsula, they repeatedly try to expand into Central Europe. In 1664 the latest Turkish attempt to invade the Austrian Empire of the Habsburgs is repelled. The truce concluded lasts until August 1682. 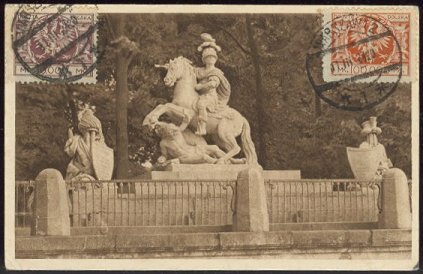 Sultan Mehmed Khan IV and his Grand Vizier Kara Mustafa then start preparations for another attack on Vienna. 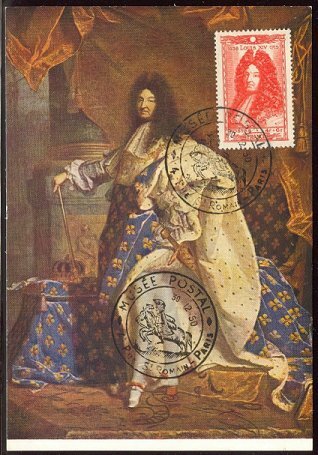 The strongest power in Europe in the 17th century is the France of Louis XIV. Due to his hostility to the Habsburgs, however, he refuses to offer Austria help against the Turks. 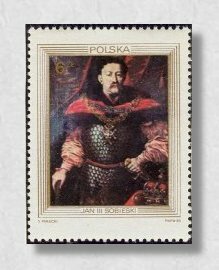 Pope Innocent XI then appeals to Jan III Sobieski of Poland for aid. 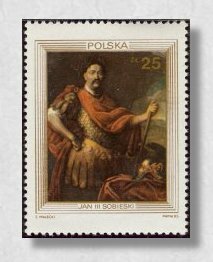 The brilliant commander Jan Sobieski was elected King of Poland in 1674 after his military successes against the Cossacks, the Swedes and the Turks. In the battle of Chocim in 1673 Sobieski had utterly crushed the Turkish army, earning the nickname "The fearful lion of the north". 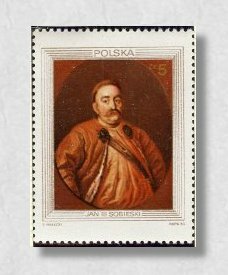 Sobieski's portait and his monuments are pictured on a large number of Polish stamps, postcards and postal stationery. 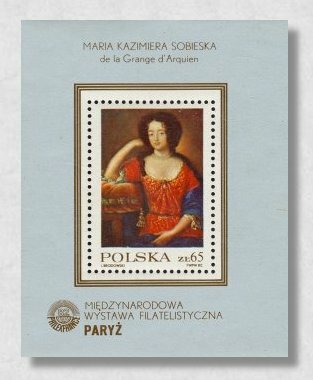 Sobieski's French Queen Maria Kazimiera Sobieska is pictured on this miniature sheet issued for the Philexfrance exhibit in 1982. 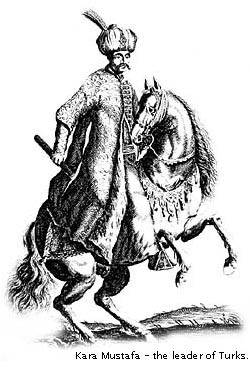 In the Spring of 1683 royal spies report of Turkish preparations for a major campaign, but they do not know where the army will attack. 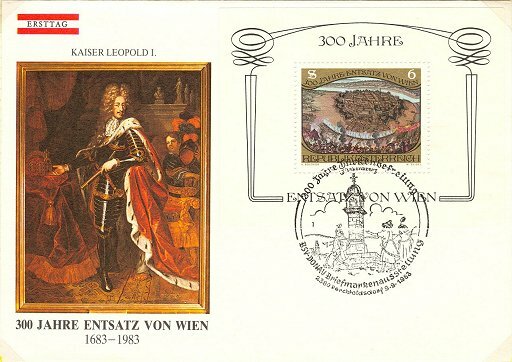 31 March 1683 Sobieski signs a treaty of mutual defence with Emperor Leopold I of Austria. 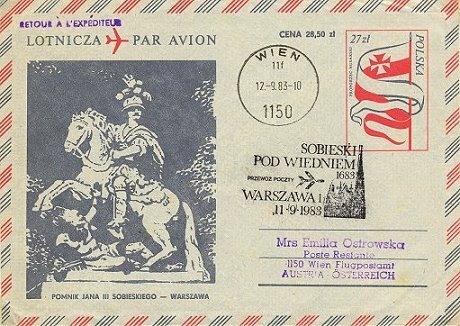 The Austrian Emperor will support Sobieski if the Turks attack Kraków; in return, the Poles will support Austria if Vienna is attacked.